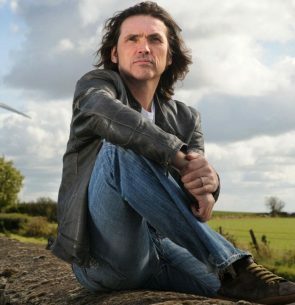 Dale Vince, OBE (born 29 August 1961) is a British “green energy” industrialist. A former New Age traveller, he is the owner of the electricity company Ecotricity. Vince was born in Great Yarmouth, Norfolk, leaving school at 15. He spent time as a New Age traveller. In 1991, he saw his first windfarm (“I thought, either I can carry on by myself with the windmill on my van, or I can get into the big stuff’) and in 1995 he founded the Renewable Energy Company. In 1996, he launched his first wind turbine supplying “green electricity”. In 2010 Vince became a major shareholder of Forest Green Rovers FC, and three months later was appointed club chairman. In February 2011, Rovers players were banned from eating red meat for health reasons, and a few weeks later the sale of all red meat products was banned at the club’s ground, leaving only vegetarian options and free-range poultry and fish from sustainable stocks. Vince has also introduced a number of different eco-friendly developments at the club including the installation of solar panels on its New Lawn home ground, the use of a solar-powered robot grass mower, and the creation of the world’s first organic football pitch. In September 2015, Vince revealed Forest Green were using a player recruitment method similar to the ‘Moneyball’ model that had been initially used in baseball to sign players by using computer-generated analysis. In October 2015, Forest Green became the world’s first all vegan football club. Vince received an OBE from the Queen for services to the environment in 2004 and in 2013 was given the honorary degree of Doctor of Philosophy by the University of Gloucestershire.